Julz is not happy to have visitors in her home and emotions run high. Laney is pushed to her limits as she watches Carter fight for his life and her relationship with Oliver becomes strained as she discovers secrets about Julz that could tear them apart. As she reaches her boiling point, disaster strikes and her life is shattered. Laney must come to terms with what has unfolded. Will she lose her way and let the darkness consume her or will she find her light in Oliver? 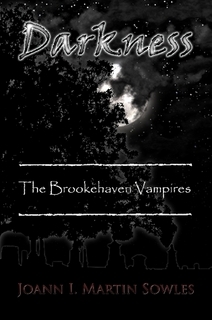 Sowles brings us book 2 in the Brookehaven Vampires series. This is not your run of the mill YA vampire read, Sowles keeps the dark vampires in play tossing in a little drama and twisted up with intense action. As we pick up where Laney (book 1) left off, we have so much going on. Laney just wants to be with Oliver, but there is so much left for her to learn. Sowles brings in the mysteries behind our characters. We've met Laney and Oliver, but we finally get to dive into the background of their friends. It's not all roses for Laney either. I enjoy how Sowles puts in characters that you can relate to, and when we are learning their back story, it's quick but detailed, so the book doesn't drag on. I didn't hit a low point in the book. The passion of our leading couple leaves you breathless as the two figure out their love. I enjoy that Laney is a strong character, only perhaps once or twice was I aggravated by her stubborn streak :). Sowles doesn't set her leading guy up to be a push over either, he's laid it out and he's got to do what can be done to protect his love and family. We also don't have everything working perfect for the leading couple. 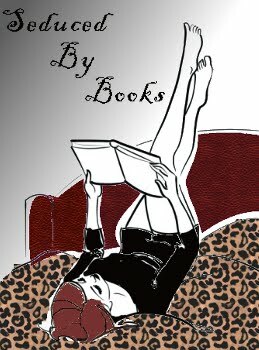 I admire how Sowles makes that work in her book, as she takes you on the flips and turns of the story. Some added drama and tension between friends, and out right possessive vampire instincts tossed in pull together strong emotions for the characters and Sowles gets you feeling it as well. Carter was a big win for me in this book. Both of the books so far have been great reads. I can not wait until the 3rd book comes out to find out what is going to happen next. I agree with your comment about be "aggravated with Laney" ....I got upset a couple times as well. I love the character of Oliver, however I think he is going to turn out like the obsessed boyfriend which I hope does not happen but I am still really interested to see how his character develops. I also was surprised by Carter. I would like to read more about his character as well. But the one who seems to have me wondering the most is Jewels...I think there is going to be a lot more to her story!